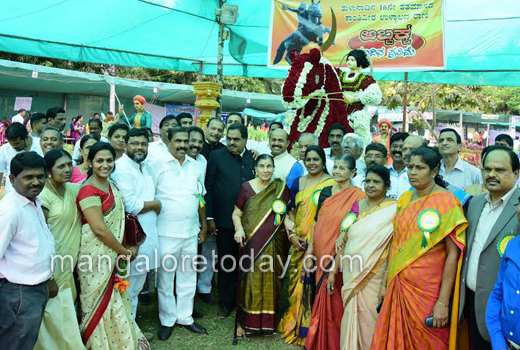 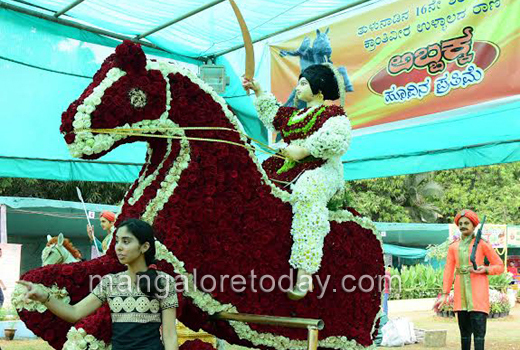 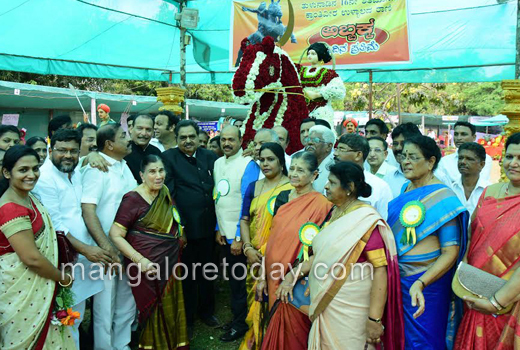 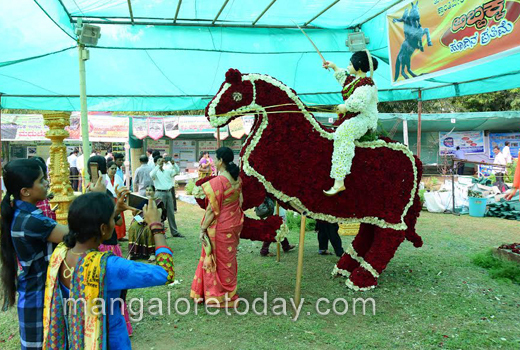 Mangaluru, Jan 26, 2017 : A model of Ullal’s valiant Queen ’Rani Abbakka’ made out of 50,000 Dutch Roses was the cynosure of all eyes at the Annual Flower and Fruit Exhibition which opened at Kadri Park on January 26, Thursday. 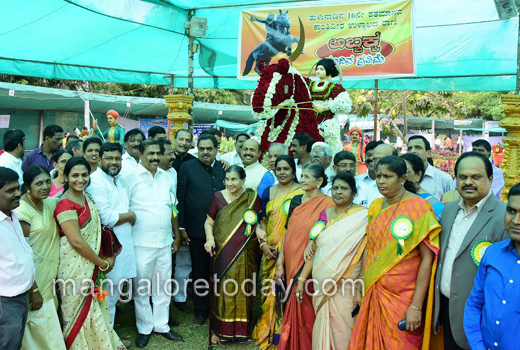 The exhibition was inaugurated by District in-charge Minister and State Minister for Forest and Environment B Ramanatha Rai. 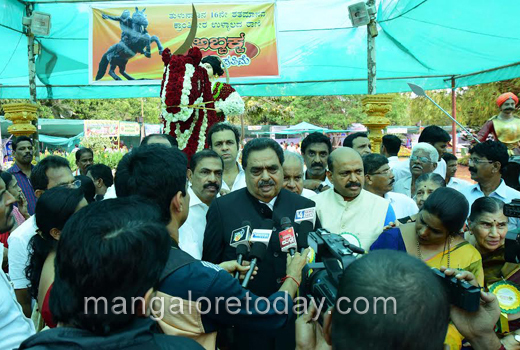 Speaking on the occasion, Rai said the event has become extremely popular over the years and appreciated the encouragement given by Mangalureans to the event. 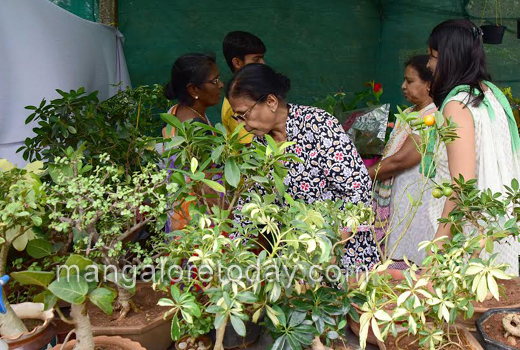 He was all praise for the hard works put in by the Department of Horticulture and the Department of Women and Child Development in making arrangements for the event. 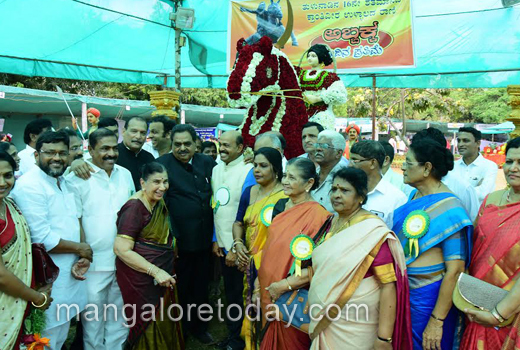 Yogish HR, Deputy Director of Horticulture Department, Meenakshi Shanthigodu, Zilla Panchayat President, Harinath, Mayor, Sumitra Kariya, Deputy Mayor, Shashidhar Hegde, Roopa Bangera, Corporators and many others were present. 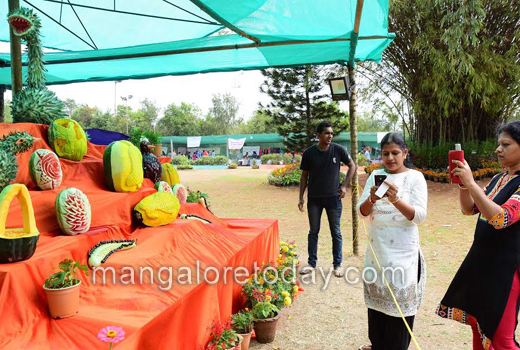 Eight fish models made of Dutch roses, a model of terrace garden are also on display. 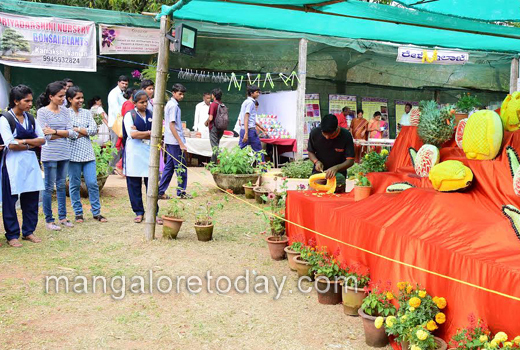 Food stalls as well as stalls displaying fruits, vegetables etc are also part of the exhibition.